← Do You Feel A Draft? Beware of bad puns ahead! There has been some recent activity in the Avalanche organization in the past few weeks with the signing of not one but two integral “Pats” of the team. 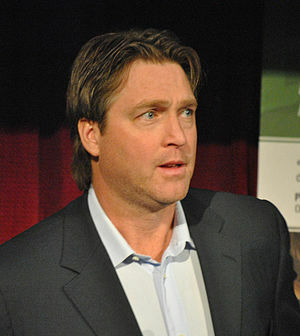 The biggest news to hit about the Avalanche was their signing of former netminder Patrick Roy as head coach and vice president of hockey operations. Yes, Avalanche fans you read that right, St. Patrick Roy is the new head coach of the Avs. To most with any knowledge of the Avalanche, the organization has toyed, unsuccessfully with this idea a few years ago, but this time they sealed the deal. Roy is known for being the star goaltender of the Montreal Canadiens between 1985 and 1995. He was traded to the Avalanche in what has been coined “Le Trade” and is considered to be one of the most one-sided deals in NHL history thus leaving the Canadiens with the “Curse of St. Patrick”. During his time with the Avalanche he would be instrumental in helping the Avs win two Stanley Cups, won two President’s Trophies and be an integral part of the rivalry between the Avs and the Red Wings (how lucky for me Detroit, also a rival of every Cleveland sports team). Since his tenure with the Avalanche ended in 2003 Roy spent his time as general manager and head-coach and will remain co-owner of the Quebec Remparts of the Quebec Major Junior Hockey League now that he is with the Avalanche once again. minors or his off-season dedication to self-improvement. 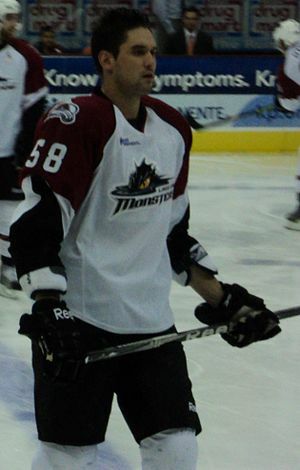 For a long time Bordy fan like myself and almost every Monsters fan out there, I am very happy to know that he won’t be going anywhere for the time being, even though it is near impossible to catch an Avalanche game in Cleveland, you are still our favorite Monster. This is also a good example for the younger generation that hard work and perseverance do pay off. To close I would like to share some classic Bordy with this video. Enjoy! This entry was posted in Uncategorized and tagged Colorado Avalanche, Patrick Bordeleau, Patrick Roy. Bookmark the permalink.